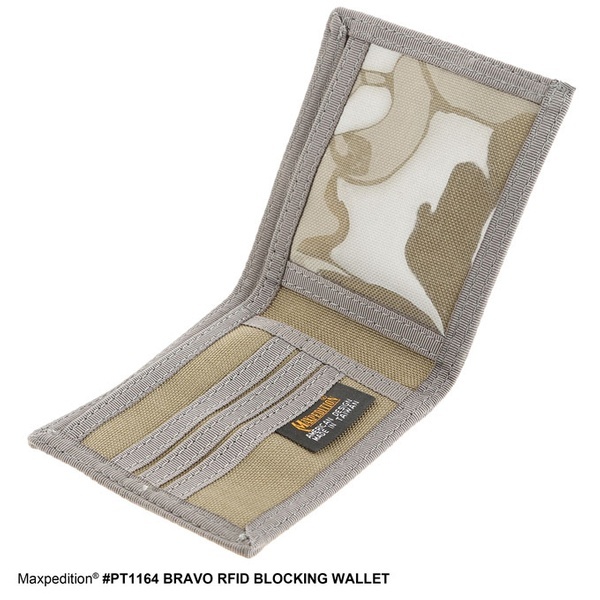 RFID Skimming is a form of digital theft, which enables information from RFID based smart cards to be read and duplicated. 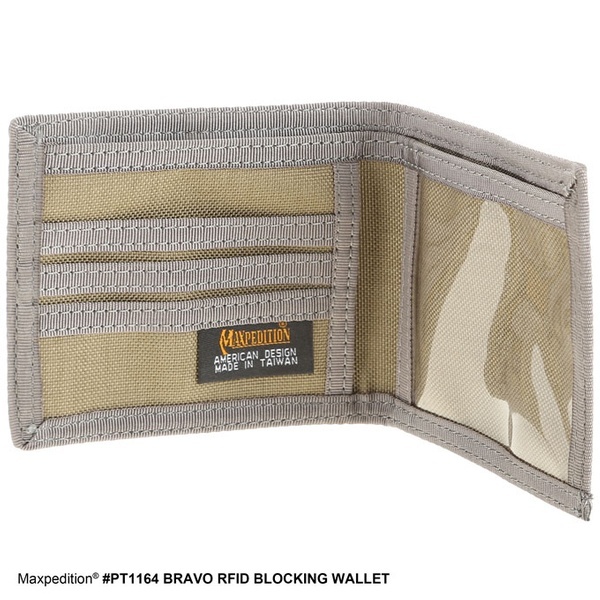 It can be used as a form of wireless identity theft or credit card theftamong other forms of information theft. Typically it works by illegitimate reading of RFID chips at a distance using a cheap RFID reader device, which downloads the card information. From there, it can be written to a new blank card, which then operates in the same manner as the original legitimate card. Because the data is identical on both cards, and the information is only copied, it makes no difference if the original data is encrypted or not. 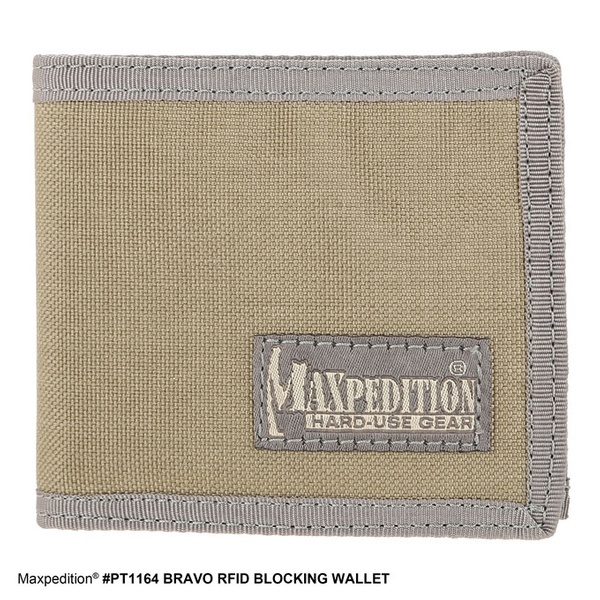 Purchase through PayPal by using the "Add To Cart" button above or use the form below to order the Maxpedition RFID blocking wallet Black or Kharki/foliage . 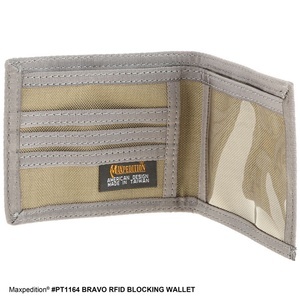 Feel free to contact us if you have any questions about the Maxpedition RFID blocking wallet Black or Kharki/foliage .